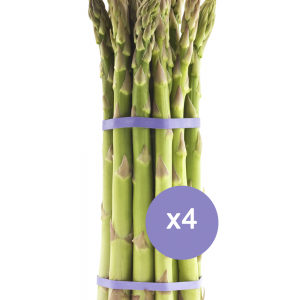 Withycombe Asparagus uses either Fed Ex UK Ltd or Royal Mail. 4 bundles (or fewer) will go by Royal Mail, this is a “next day” nationwide service and includes Saturday delivery. 5 to 8 bundles go by carrier, for this there is no Saturday delivery and not to the Highlands and Islands. Providing your order is received by 9am it will be dispatched that same afternoon. The service used is for “next day” delivery. Please note that a signature is required on delivery. Orders received on Saturday or Sunday will be dispatched on Monday. If you are unhappy with the product then please contact Withycombe Asparagus. We will arrange a refund or replacement. As this is a perishable product there is no point in returning it. Withycombe Asparagus will not share with others, or sell, contact details received as a result of you ordering on this site. 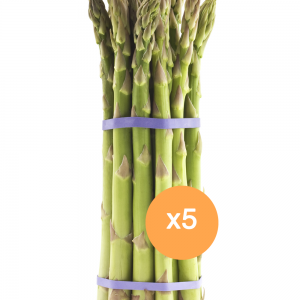 We will use them to contact you occasionally to keep you up to date with the asparagus harvest. If you wish not to receive these then please return the mail with “unsubscribe” in the subject box. I will then take you off my list.